To some, the legislative history of the Foreign Corrupt Practices Act is not important. However, there is one category of persons who rightly care about the motivations of Congress in passing the FCPA, the competing bills Congress considered in enacting the FCPA, and Congress’s intent as to various elements of the FCPA. That group is federal court judges. As readers no doubt know, judicial scrutiny of FCPA enforcement theories is sparse. Yet when it does occur, a common thread in most FCPA judicial decisions is discussion and analysis of the FCPA’s legislative history, often but not exclusively because the judge found various provisions of the FCPA ambiguous. The recent decision (see here for the prior post) by Judge Janet Bond Arterton (D. Conn.) trimming the DOJ’s FCPA enforcement action against Lawrence Hoskins by granting in part his motion to dismiss and denying a DOJ motion in limine was based primarily on the FCPA’s legislative history and what it revealed about Congress’s intent in capturing a certain category of defendant. Likewise, although the 11th Circuit completely bungled its analysis of the FCPA’s legislative history relevant to the “foreign official” element in its 2014 U.S. v. Esquenazi opinion (see this article at pgs. 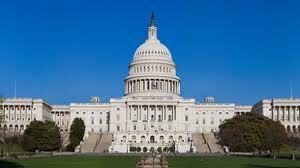 24-42 for a detailed analysis), the opinion nevertheless contained much discussion of the FCPA’s legislative history. The above protestations and observations are just plain wrong. There is abundant ”evidence in the record” that the FCPA is an ambiguous statute and/or that the FCPA’s legislative history is important. In addition, to the recent Hoskins and Esquenazi cases, this post summarizes the many other instances in which federal court judges have found various provisions of the FCPA to be ambiguous and/or have consulted the FCPA’s legislative history. In SEC v. Straub, 921 F.Supp.2d 244 (S.D.N.Y. 2013) Judge Richard Sullivan (see here for the prior post) found the FCPA’s jurisdictional element ambiguous and thus consulted the legislative history. In SEC v. Jackson, 908 F.Supp.2d 834 (S.D.Tex. 2012), Judge Keith Ellison consulted the FCPA’s legislative history regarding: the need to identify the “foreign official,” the facilitation payments exception, and the corrupt intent element. In U.S. v. Kozeny, 582 F.Supp.2d 535 (S.D.N.Y. 2008), Judge Shira Scheindlin consulted the legislative history in a decision concerning the FCPA’s local law affirmative defense. In U.S. v. Kay, 200 F.Supp.2d 681 (S.D. Tex. 2002), Judge David Hittner concluded that the FCPA’s “obtain or retain business” element was ambiguous and thus turned to an analysis of the legislative history. On appeal, the Fifth Circuit (see 359 F.3d 738 (5th Cir. 2004)) likewise stated as follows prior to an extensive review of the FCPA’s legislative history. In U.S. v. Blondek, 741 F.Supp. 116 (N.D.Tex 1990), Judge Harold Sanders consulted the FCPA’s legislative history in concluding that “foreign officials” can not be charged with conspiracy to violate the FCPA. To some, the FCPA’s legislative history is nothing more than a history lesson. However, federal court judges who interpret the FCPA in the rare occasions they are given an opportunity to do have consistently reminded us otherwise. This is why the Story of the FCPA (see here for the article) remains important today. Do Your Hiring Practices Live Up To The SEC’s New Expectations? Do You Now Understand Why The Meaning Of “Foreign Official” Matters?